Hello and happy first Friday in June! The Potentia team has transitioned into our summer schedule which is full of vacations, sun, and fun while continuing to serve our community by treating the whole person and the whole spectrum of mental health and wellness issues. As many of our long-time friends know, one of the areas we offer specialized support is in the treatment of the eating disorder spectrum. Today I am adding to the voices talking about World Eating Disorder Action Day – which was yesterday but better late than never! I know when I write or talk about eating disorders, many say this issue is not important to them because it does not impact their life. I ever so gently want nudge that sentiment to say that this issue – the most deadly of all mental health struggles – is an issue for us all. In fact, this is a leadership issue and your voice and action is needed. It is time to take action and create space to have a different conversation about food, health, bodies, worthiness, strength and success. Many are secretly struggling with self-loathing, anxiety, fear and shame around how you feed, move, dress, rest and talk to your body. This may not present as a clinical eating disorder though the distress is still significant. We live in a culture where it is acceptable – and often encouraged – to critique how people look, eat, dress, and live. Our bodies, which are both personal and private, are often not respected in search of control, status, belonging and relief. Shaming self and others destroys souls and never leads to sustained change or healing. And this is where you come in on this call to action. Even if eating disorders do seem like they not impact you, taking some subtle yet powerful actions to help create more safe spaces to talk about what it means to be well, what it is like to struggle with depression, anxiety, obsessive thoughts, recovering from trauma, neglect, loneliness and hopelessness can make a profound difference. Genetics, family of origin and difficult like experiences play a role in how we all navigate what it means to be well. The media we consume, our social, professional and faith communities all have a powerful influence on our lives, too. Would you consider taking action on any of the following areas? These may seem like small gestures or actions. Do not underestimate the power of making a small change. Discourage negative body talk or shaming at your home, school, place of worship and.or work. Affirm people based on their character not their looks or physical accomplishments. Edit your consumption of media (tv, social media, magazines, etc) or even consider taking a media fast for a week. Learn about orthorexia and how the obsession to eat healthy is really masking serious disordered eating, anxiety and other serious struggles. Read this series I wrote for Darling Magazine on the myths and meanings of eating disorders. Make a commitment to learn more about what it means to feed well, move well, rest well and talk with your body well. Dr. Megan Holt is an excellence resource for in-person or online health + wellness consultations. Stop dieting and extreme ways of feeding and pursue a practice of intuitive and mindful eating. If there is someone in your circle of influence you think may be struggling on the disordered eating spectrum, dare to have a courageous conversation with him/her – stating your love, your concern and your suggested resources. Commit to making the dinner table and home a place where food is discussed neutrally and is a means for fuel and medicine and enjoyment – not to be a source of obsession or fear. How do you plan to take action in your circle of influence? PS – Make sure to check out our Summer Mental Health Camp offerings throughout the summer! Congratulations on completing week one of the 52 weeks of 2016! If you are like most people in our country, some of your goals/resolutions/intentions for the new year are around your health: how you feed, move and rest your body. It is absolutely important to make health a priority (though not an obsession) in your life. Yet, breaking through the noise about what it really means to be healthy is quite the challenge these days. There are so many differing views on how to eat, how to move your body, what food is “good” and “bad” for you. As a result, the meaning of health has become so skewed and good marketing that speaks well to your struggles and desired goals can also add to the confusion of what it means to be well. Secrets from the Eating Lab: The Science of Weight Loss, the Myth of Willpower, and Why You Should Never Diet by Traci Mann, PhD is a gem of a book that reads with ease while digging into some involved research around the science behind a lot of the narratives around health, obesity, food choices and more. Below are some of my favorite quotes from the book along with my additional thoughts and reflections. It was really hard to decide which nuggets to quote from this book as Dr. Mann has packed in so much wisdom. It is a worthy investment, for sure! At Potentia, we have educated our clients and community for years on the flaws of the BMI as a measure of health. It is more of a marketing tool and not an evidenced based measure of true health. Be wary of how you use this information to define your definition of health. It also can be very shaming and trigger behaviors that are unsafe. Caution against investing in businesses which profit from your failure. This is particularly concerning as weight-cycling (repeated gaining and losing weight) is shown to be more dangerous than carrying extra weight. This fact is cited extensively in this book, too! In this chapter, Dr. Mann shares how she and her students dug into all the studies often used to validate why a particular weight loss programs/diet will work. She found three major flaws in various health and weight related studies on weight. It is also noted why it is important for you to understand the gold standard of research and how to be a better consumer and questioner of the data being quoted. “The research says…” need not shut down the conversation but instead be a conversation starter. Unpacking the science behind willpower, Dr. Mann points out that willpower – when used as a tool to maintain health – is not the best approach to lifestyle changes. She eloquently helps you understand the science of willpower so you can make better choices and decrease the physical, emotional and spiritual struggles around food + your health. When shame is running your life around how you care for your body, diets – or some kind of restrictive or rigid rules around feeding and moving your body – are often a go-to response. Diet related behavior is one of shame’s bff’s. Chapter 5 is powerful and provocative. It digs deep into the topic of obesity and myth-busting many narratives around carrying extra weight. The above words outline the complex factors which are a part of an accurate definition of health. Activity is a powerful indicator of your health. Finding an activity you will be motivated to do regularly is key. Now over-exercise, over-use injuries and complications related to hydrating and nutrition are flags that your activity has crossed over from being a positive positive part of your health into a negative one. At Potentia, we help our clients (re) define activity when this happens so moving their body can return to being a part of wellness and not the sole manager emotional pain. There is so much good information packed into this book. I hope you check it out. If you read the book, I would love to know what impacted you the most on how you view health. All the best as you continue to challenge yourself to (re) define health in your life. Rebecca Bass-Ching, LMFT, Founder + Director of Potentia Family Therapy, Inc.
Today we kick off Potentia’s second annual “I Choose Respect” month. #ichooserespect is an effort to connect with those who may not identify with clinical eating disorders but can relate with struggling in their relationship with food, their body and their story. Eating disorders are the most deadly of all mental health illnesses. Early intervention and prevention is crucial to decreasing the statistics around those struggling – and dying – from eating disorders and related issues. Addressing the above list of struggles as soon as possible is an important investment in your mental health and in the prevention of more serious clinical issues. This year I added “story shame” to our awareness campaign as my clients have taught me story shame fuels negative coping tools to deal with the pain and the fear of being judged, misunderstood, rejected- all of which can fuel disordered eating and eating disorders. Shame about your story leads to putting on masks and moving away from owning and telling your story. The lies of shame say if people really knew about your struggles, your experiences, your thoughts, your fears – you would be rejected and not worthy of love. The common protective response is to armor up and numb out – often in ways that hurt your body, your relationships, your soul. Disowning parts or all of your story keeps you stuck in fear. Beginning to move to loving your story – and your body – can start with respect. You are so beautiful – just as God made you. You are so strong – you can handle anything. Sometimes these intended words of encouragement unintentionally diminish real struggle and trigger shame. As a result, many increase their efforts to hide their struggles for fear they are seen as “drama” or “not good/Christian/strong enough” for struggling with their relationship with their body and their story. Healing disconnection with body and story are not quick fixes. They are often rooted in deep attachment issues, traumatic experiences, individual temperament and genetics. #ichooserespect is about respecting your body and your story when you do not like or even love them. I believe respect creates a pathway to sustained loving and acceptance of your body and your whole story – when the time is right. It can not be forced. Just like any relationship, when their are breeches of trust, it takes time to heal. And there are too many people who do not trust their body and are in fact at war with their body. It is time we give this kind of pain respect. Respecting your pain is a place to start a conversation, to ask for help, to offer connection when someone takes a risk to share their pain. This year, we are featuring more like-minded leaders from all seasons of life in our #ichooserespect photo shoot. These photos will be featured daily for the entire month of February. The conversations that started and continued from taking these pictures warmed my heart and inspired me. My hope and prayer is that #ichooserespect inspires continued meaningful conversations and questions about how you talk about your body and your story with your friends, your family, your colleagues. Most importantly, I hope #ichooserespect helps you (re) define your own internal conversations and decreases the noise between your ears. Please join the conversation on Potentia’s Facebook Page, Potentia’s Instgram Feed or my Twitter feed. Help us spread the news about the I Choose Respect Awareness effort by using and tracking the hastags: #ichooserespect #respectyourbody #respectyourstory. The last week of February is National Eating Disorder Awareness Week hosted by the National Eating Disorder Association. All over the country, local communities are hosting walks to raise money and awareness for NEDA. For the San Diego NEDAW walk, Potentia is hosting a team and will also have a booth at this wonderful event. The Potentia team is hoping to raise $1000 from registrations for the walk. Invite your friends, colleagues, family, kids to register and join the Potentia team. Even pets can get in on the walk and fundraiser – scheduled for Saturday, February 28th. How will you choose respect? I am curious, how do you want to choose respect over body and story shame? I look forward to connecting here on the blog and on the other social media outlets this month. I am beyond grateful to all those who took time out of their schedule to participate, too. I can’t wait to share their pictures with you! Let’s start off with an overview of saturated fatty acids, and how they differ from poly or monounsaturated fatty acids. Unsaturated oils, on the other hand, are liquid at room temperature, primarily found in higher concentrations in plant sources (with the exception of fatty fish) and have one (mono) or multiple (poly) double bonds along the carbon chain. Contrary to popular belief, foods do not consist of one type of fatty acid. Rather, foods are composed of varying percentages of unsaturated and saturated fatty acids. For example, SFA’s comprise roughly 13% of the fatty acids in olive oil, and 65% of the SFA’s in butter. SFA’s are found in higher amounts in dairy products (ex: cream, butter, milk, cheese) as well as in meats (bacon, sausage, chicken fat, mutton), ghee, suet and lard. Palm oil, palm kernal, coconut and cottonseed oils contain a larger percentage of SFA’s (relative to the other plant based fats), though they lack the cholesterol contained in animal sources. These fatty acids are also commonly used in conjunction with sodium hydroxide, creating a product commonly found in soaps, shampoos and cosmetics (ex: sodium laurate and sodium palmitate). For several decades, foods high in SFA’s were demonized by public health and nutrition experts, citing numerous studies suggesting that SFA’s were disease promoting. Saturated fats were linked to increased LDL (‘bad’ cholesterol), a primary risk factor for heart disease. Current American Heart Association guidelines suggest limiting calories from saturated fat to less than 7% per day (or roughly 16g or 140 calories). SFA’s were somewhat vindicated when evidence emerged several years ago suggesting that trans fatty acids (partially hydrogenated oil) were more offensive, as they not only raise LDL, but decrease HDL (or ‘good’ cholesterol). Recently, however, results of a meta-analysis of 72 studies (including both observational studies and randomized controlled trials) on saturated fat intake and heart disease published in the Annals of Internal Medicine found no association with SFA intake and risk of heart disease – basically stating saturated fats were found to have no influence, positively or negatively, on heart disease. The results were highly publicized, and largely misconstrued by media. Critics of the study, including nutrition experts from the Harvard School of Public Health (one of whom actually authored the study) are calling for a retraction or revision of the paper. Critics have pointed to the limitations of meta-analyses as one potential problem, as numerous studies are combined and summarized, despite vast differences in methodologies (particularly across nutrition literature). They also cite conflicting findings from numerous large scale population studies that link plant based/vegetarian diets (and lower intake of animal products) with health and longevity (Framingham, Adventist Health Study, China Study). Another author (there were fourteen) has stood by the study’s findings, but insists that the conclusion of the meta analysis only suggested that we need further research to better understand the relationship between SFA’s and heart disease. She has also supported continued adherence to American Heart Association’s parameters for SFA intake, stating that relaxing the guidelines would be premature at this point. There are a number of studies in progress looking at the influence of particular saturated fatty acids on health outcomes, inspired by recent findings that suggest that all fatty acids are created equally. The results of Annals of Internal Medicine study are intriguing indeed, and warrant further attention. But until we have more evidence, the large majority of experts recommend continuing to keep SFA intake to a minimum and acquiring dietary fat from plant based sources (examples include olive oil, avocado, nuts and seeds). We must also consider the steep environmental cost of meat consumption (10-15 pounds of grain is required to produce 1 pound of meat). Bottom line: It’s a bit too soon to begin piling meat and cheese on your plate, but the results do suggest that more work needs to be done before we fully understand the relationship between SFA’s and heart disease. And please be cautious when relying on media to interpret results of complex studies. What can we conclude from the referenced study and other similar studies on SFA’s and health? It seems that not all SFA’s are ‘equal’, and the way that they influence disease risk is not well understood and deserves further attention, so avoid dogmatic teachings around good food/bad food. While we seek to better understand the SFA/health relationship and await further study results, please still proceed with caution when adding SFA’s to your intake. Foods that are high in SFA’s (meats, dairy) are also often high in preservatives (and other artificial fillers) and sodium. Quality of meat/dairy DOES have a meaningful effect on the nutrient density, so going organic/grass fed IS worthwhile if you’re able. Good nutrition is a complex picture with many shifting parts, and research is moving away from studying the influence of single nutrients on health outcomes, so be wary of these kinds of studies. Lean on a plant based diet for necessary fats and proteins such as beans, lentils, nuts, seeds and whole grains (budget friendly AND protective), and supplementing with high quality (organic/grass fed) meat and dairy products when you do want to include animal fats. Questions, thoughts and reflections? Please post them below. I look forward to continuing this important discussion with you. Rajiv Chowdhury, Samantha Warnakula, Setor Kunutsor, Francesca Crowe, Heather A. Ward, Laura Johnson, Oscar H. Franco, Adam S. Butterworth, Nita G. Forouhi, Simon G. Thompson, Kay-Tee Khaw, Dariush Mozaffarian, John Danesh, Emanuele Di Angelantonio; Association of Dietary, Circulating, and Supplement Fatty Acids With Coronary Risk: A Systematic Review and Meta-analysis. Annals of Internal Medicine. 2014 Mar; 160(6):398-406. Note from Rebecca: The word “exercise” is often used in conjunction with the word “diet”. Exercise is indeed an important and necessary part of anyone’s wellness lifestyle. Yet the word itself is often misunderstood and loaded with expectations, shame and fear. Megan Hold, DrPH, MPH, RD unpacks some common questions and misunderstandings around exercise and how to care for our body when we are moving it and the importance of developing an intuitive relationship with exercise. Q: Exercise is always a good thing, right? I often read and hear that exercise makes our immune systems stronger. A: Exercise is one of many stressors the body receives, and like other stressors, produces ill effects when introduced at a time when the body is overloaded. Intermittent (spontaneous) very high intensity exercise and continuous over training (even if done at lower intensity) can compromise immune function. For example, 90+ minutes of high intensity exercise may result in days of dampened immune function. (“Intensity” can also look different from one person to the next, as we must consider baseline fitness levels). During exercise, we experience an increase in cortisol ‘stress hormone’, which in turn increases blood pressure and cholesterol. These effects are transient when exercise is balanced and appropriate, but over training can result in chronically high levels of cortisol, decreasing our immune function. All of these things, including exercise, challenge homeostasis and therefore, can contribute to increasing susceptibility to illness. On the flip side, exercise also attenuates stress, which bolsters our immune systems, though this occurs after the exercise but and in the scheme of a balanced training regimen. Those who engage in moderate intensity exercise 4 days per week are nearly half as likely to use sick time relative to their sedentary and their ‘over trained’ counterparts. Exercise stimulates phagocytosis, which can essentially be described as the gobbling up of illness producing bacteria by macrophages (the ‘big eaters’ of the immune system). Immune parameters are enhanced for hours after exercise (and even longer if program is balanced and ongoing/continuous) but the benefits are compromised when one pushes too hard and denies themselves the rest that they need. Q. What does research tell us about exercising when feeling under the weather? A. Generally, if symptoms are ‘above the neck’ (i.e. the common cold) low intensity exercise is OK, such as walking or gentle yoga, though listen to your body and rest when symptoms are at their worst. Wait at least 5-7 days before reintroducing moderate to high intensity exercise. Cold weather does not increase risk of catching a cold…it simply results in close contact to a greater number of people, which increases transmission of bugs. When symptoms are ‘below the neck’ or more involved, wait 1 ½ to 2 weeks before reengaging in workouts of moderate or high intensity. Q. What are overuse injuries, and what are the primary risk factors for overuse injuries? A. Overuse, in short, result from a culmination of ‘too much too fast’, repetitive movements, improper training techniques, inadequate rest and musculoskeletal system overload. Half of kids 6-18 engaging in athletics will incur an overuse injury, with highest risk going to runners. Other major risk factors include lack of a period (being on birth control doesn’t ‘count’ if the period is absent without birth control), prior injury and inadequate calorie intake, which stimulates muscle catabolism and hinders muscle recovery. Q. I am feeling pressured (from self and/or others) to overdo my exercise? What can I do? A. Give yourself permission to decrease intensity when you need to, and kindly thank yourself for showing up! Increase the intensity again when you feel like you have the energy to challenge yourself. Resist adding intensity/weight/incline speed because someone else is doing so, or the instructor of your fitness class insists upon it if you know that it’s too much for you. You’re there for you, not for them, and it’s OK to modify. Remember, they won’t be around to nurse your injury, so it’s up to you to know your limits. Believe it or not, cardio is not the only component of fitness. Equally important are flexibility and muscular strength building exercise, particularly for the sake of preventing overuse injuries and building/maintaining bone mass. If you find that you’re worrying throughout the day about how you’ll fit in your workout, take a breather until you have time to make it a priority without adding to your already overfilled plate. This is especially true if you’re active a few days/week, but feel inclined to stick to a rigid 5,6,7 days at any cost. If you’re exercising for health benefits, but obsessing daily about how to make it happen ‘perfectly’, the impact of the stress defeats the purpose. Q. I missed my class and now I’ve blown it. I missed yesterday’s as well, and now I am in a real bind because I am going out to dinner, and I don’t feel like I have ‘earned’ the calories. A. This is the picture of a not-so-healthy relationship with food and exercise. Take a walk instead, even if it’s not what you had in mind, and thank yourself for being flexible. Carbohydrate and protein are a MUST after exercise, as they serve to decrease muscle and joint tissue damage (and no, a low carb protein shake does not suffice, even if it has, like, fifty grams of protein). This includes an adequate intake of grains. And grains are not the devil. We have decades of research supporting the health benefits of whole grains in the diet, including, but not limited to, their being a great source of antioxidants, fiber, and essential anti-inflammatory fats. Finally, don’t neglect dietary fat. The anti-inflammatory benefits are tremendous (which means inflammation is buffered by protective qualities of fats, primarily the plant-based fats, which means lower risk of injury). Don’t wait until you have an overuse injury and are stuck with a bandaid approach to ‘fixing’ it and explore the benefits of a few choice lifestyle modifications, which can prevent, delay onset or aid in healing. Aim for your intake to be at least 30% of calories consumed from fat sources. How do you define your relationship with exercise? Do your trust your body to tell you when you need to rest? Thanks for reading and please post your questions below in the comments section regarding all things exercise and wellness. Note from Rebecca: Parents and caregivers have so much pressure these days. Trying to make ends meet, juggling busy schedules while giving the best care to their kids is simply A. LOT. Read the following post by Megan Holt, DrPH, MPH, RD and listen to what nuggets tug on your heart with grace and compassion. Caution against reading this and letting the “I am a good/bad parent” critic run rampant and instead think about what is working and what areas re: this subject may be good to focus on making a change. One at a time. And commit to not doing any of this perfect but messing it up a lot as you seek to care for you and your family well – one bite, one step, one thought, one prayer at a time. How do family and friends influence your relationship with food, exercise and body image? Perhaps surprisingly, peer influence on eating behaviors is much less pronounced than that of parents. Kids raised in an obesogenic home environment (easy and regular access to foods consistent with a poor quality of diet, sedentary living quarters and/or limited access to safe outdoor play areas) are more likely to adopt these poor eating habits, but modeling intake of so-called ‘healthy’ foods does not necessarily model a healthy relationship with food. What’s a parent to do?! 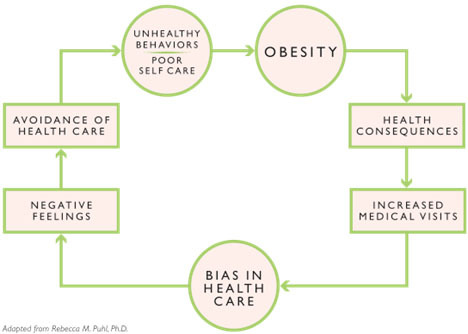 Given that obesity prevention is indeed a primary target of public health interventions, how is it possible that such an environment overly focused on weight and size may be less than helpful at times? “Failing to deal with the reality of America’s obesity problem for fear of perpetuating an unhealthy obsession with body image would be a disservice to the public and perilous for the health of the nation. However, it is equally detrimental to attempt to tackle obesity by promoting restrictive diets and extreme exercise regiments. Adopting approaches that focus on positive attitude and lifestyle changes not only protects against eating disorders and issues of body image, but also is actually more successful in preventing obesity. Do not use food as reward or punishment. Ex: Kid gets in trouble at school and parents withhold dessert that night as part of disciplinary effort. Design an eating style for yourself with the assumption that weight will not be influenced in either direction. Consider the following: quality of life, energizing nature of foods chosen, food availability, flexibility and enjoyment/palatability of food. How would you go about meeting your body’s needs? How might this be different if you were also considering potential weight shifts? Need help or are stuck with these calls to action? Please let me know how I can be a resource to you and your family. It gives me great joy to help people make sustaining lifestyle changes while pushing back on the toxic culture around food, exercise and body image. 1863 Banting’s Diet: One of the first documented low carbohydrate diets. William Banting was a carpenter and undertaker. “Bad” foods included sugar/starch, butter, milk and beer. 1830 Graham’s Diet: A Presbyterian Minister, Sylvester Graham, touted a ‘bland’, vegetarian diet free of milk, meat, alcohol, white bread and ‘excitatory’ spices (which, upon intake, cause a person to become ‘lustful’). 1920 Inuit Diet: Vilhjalmur Stefannson, an Arctic explorer, noted improved health and quality of life among persons living in Arctic regions by eating a diet consisting predominantly of whale blubber, raw fish and caribou, with minimal fruit and vegetables. Thus, the Inuit Diet was born. 1930 Dr. Stoll’s Diet Aid: One of the first liquid supplement diets, shakes were given out as meal substitutes in local beauty parlors in efforts to popularize this diet. 1930 Hay’s Diet: Dr.Hay warned of ‘digestive explosion’ from consumption of fruit, meat and dairy at the same meal. He urged separation of foods into alkaline, acidic and neutral meal/snack categories. 1950 Grapefruit Diet: Consists of having ½ grapefruit daily, and minimal caffeine. Fatty meats, particularly bacon, may be consumed liberally, as the combination of grapefruit and saturated fat is “claimed” to accelerate the burning of body fat. 1980 Cabbage Soup Diet: This plan advises the consumer to consume cabbage soup at meal times for seven consecutive days, with the stepwise addition of beef, fruit, vegetables, brown rice and skim milk. 1980: Fat free/very low fat: Emphasized elimination of fat in the diet, given its caloric density and link to development of cardiovascular disease. Manufacturers quickly adapted by producing fat reduced versions of our favorite foods, using sugar to enhance palatability. 1990 Atkins Diet: Popularized by Dr.Robert Atkins, initial phases demand a carbohydrate intake not greater than 20g/day, and exclusion of fruit, starches/grains, added sugar, starchy vegetables and beans/legumes. Caffeine and alcohol are forbidden, but meat, eggs and oils may be consumed liberally. 2000 South Beach Diet: Essentially a tamer version of Atkin’s, partakers are allowed to include a greater percentage of calories from carbohydrates in the form of fruits, vegetables and whole grains in later stages, and are discouraged from over consumption of fatty meats/foods rich in saturated fats. 2000 Master Cleanse: Users are ‘detoxified’ by adhering to a strict regimen that includes a mixture of water, lemon juice, maple syrup and salt. The diet was originally publicized in the 1940’s by an alternative healer by the name of Stanley Burroughs. Present day fad: The Paleo Diet, also referred to by some as the ‘Caveman’ diet, advocates a diet mimicking that of our Paleolithic ancestors. The Paleo diet features exclusion of processed grains/oils, legumes and dairy. This sort of an eating style is not new, as it was initially popularized in the 1970’s, though it’s made a comeback in recent years. Despite their obvious differences, many of these diets all share a few common features (aside from the lack of credentials or expertise of behalf their wealthy creators): They erroneously suggest that we can manage health/weight through black and white thinking, they don’t ‘work’, they aren’t sustainable and they lack supporting evidence. What do you think about this list? Would you add to it? How do you respect your body through how you feed yourself? Please join the conversation over on Potentia’s Facebook page on Choosing Respect Over Body shame. I choose respect over body shame – will you join me? February is often a month dedicated to bringing awareness to food and body issues, with the last week of the month specifically focused on Eating Disorder Awareness. I have been a big supporter of this time of year for the last decade. There is such a need for more understanding, awareness and education on eating disorders and related issues. They are deadly, misunderstood and too often unintentionally perpetuated by many who mean to help those struggling with these issues. Whether you have a history of struggling with disordered eating, negative body image or are really passionate about wellness, sometimes you may have a bad body image day, week, month or more. In a culture where a good portion of the few thousand messages coming at us a day are focused on our body, health, and image, it is hard to not internalize some of the scarcity, comparison and shame hurled at us. So, even if you are at a place where you can generally say, “I am ok as I am — mind, body and soul” it seems completely understandable to me that there are seasons, bumps in the road per se, where your relationship with your body is not always full of love. Many in recovery are ashamed and fearful of having a season where their old ways of thinking and being make a comeback. So the masks of “everything is perfect” go up and the fear of showing vulnerability spikes. We can’t force a love relationship with our body. Building or rebuilding trust with your body takes time. Eating disorders, chronic illness, abuse, depression, anxiety, and shame induced by cultural ideals of beauty all can rob you of your ability to trust your body. So many people have a hard time loving their body, let alone liking it. Sometimes you have to start from a place of respect before you move to love. I hear many share their frustration with how body-focused they are and offer a lot of self-judgement because their brain is stuck obsessing about what the scale says, what the mirror reflects, and what is eaten. Food and body issues are real. Call it what you want — I think it is time to redirect the judgements that pop up about these struggles and try to really understand what is at the root of the pain. From my perspective, when someone’s sense of comfort, peace and wellness is attacked, it impacts all other areas of their life. These are not trivial, self-indulgent, self-absorbed issues. In an effort to debunk the stigma around body image struggles and normalize these common struggles, I gathered colleagues, teachers, parents, pastors, students, and business owners for an “I choose respect” photo shoot at Potentia. We are posting an “I choose respect” feature photo every day this month on the Facebook page and the response has been so encouraging. And here is a special gift for you inspired by I choose respect over body shame month: our Respect Your Body Creed. What is your respect your body creed or mantra? Share in the comments below and, if you feel bold, post a picture here or on our Facebook page letting me how you choose respect over body shame. Sure, social media has its dark side, but I appreciate the speed with which we can share the positive, too. From videos to talks, blog posts to news articles, 2013 brought some incredible nuggets of wisdom, creativity and inspiration shared via social media. I am so grateful to those who shared their story, their art and their heart with the world. This clip moved me deeply. The courage, honesty and spot-on description of his depression no doubt comforted, validated and encouraged thousands. The creativity and intentional effort by these parents to take their kids on a month long imagination adventure is genius – and also hilarious. Creativity is not in a box. And the connection that ensured as a result of this brilliant idea has inspired my husband and me to take our own kids on such an adventure sometime in the near future. 3.The Truth About Weight Stigma by Wendy Oliver-Pyatt, MD, FAED, CEDS via National Eating Disorder Association. Sadly, so many in the health, wellness, education and faith communities are unintentionally creating more food and body issues via shame, fear, blame, poor data and promotion of dieting (which has been proven to not lead to sustained weight management or true health). It is time to be honest about our own personal weight biases and take a critical look at how we are treating those struggling with disordered eating, eating disorders and related food and body issues so we can be a part of the solution, not the problem. 2013 saw the launch of Potentia’s cornerstone workshop (re) Define Courage: Dare to Show up + Be Seen. I led six cohorts of brave souls in this work based on The Daring Way™ and the research of Brené Brown, PhD. I adopted Brave as the theme song for the workshop as it encapsulates so much of this work in a few short minutes. Note: A couple (re) Define Courage cohorts are launching next month and there still are a few spaces in each group – register here! 5. Comfort Food. No one brings you dinner when your daughter is an addict by Larry M. Lake. This post shook me to my core. I think it raises such an important concern on how we deal with the messiness of mental illness. We need to show up, risk vulnerability and connect with the families who are in the marathon battle to fight mental illness. It can be such a lonely, disappointing and relentless journey that is anything but comfortable. We may not have the right words but we can hug, bake a lasagna, run and errand, write a note, share space in silence, say a prayer over the phone or fill up a tank of gas. Never underestimate the positive impact of our kindness, your empathy, and your faithfulness. Having lived in Zürich , Switzerland for four years, I was especially proud of this video. The inspiration for this project and to display it on one of the wealthiest streets in the world is moving, bold and and totally courageous. I fell in love with this visual demonstration of empathy in action, narrated by Brené Brown. Put this video clip on repeat and really learn the importance nuances of empathy. The obsession with eating healthy is not healthy. When lifestyle changes become false idols, it is a warning sign something is out of sync in your life. all-consuming thoughts and rigid beliefs about food and wellness can lead to serious emotional and physical issues. Try not to smile after watching this. Seriously. Try. When I first saw this video demonstration depicting the loneliness crisis many are experiencing in the age of über connection, it took my breath away. Powerful. What did you think of my list? What are your favorite social shares of 2013? Happy New Year! I look forward to cheering you on in 2014. Note from Erin Curlett, Potentia’s Marketing Communications Manager: Our final interview this week is with Rebecca. I wanted get her thoughts on some of the questions we have been asking in honor of Fat Talk Free Week 2013. Thanks for sharing some of your heart, Rebecca! How do you define fat talk? It often occurs when conversations foster bonding over critiquing their bodies or the bodies of others. Where and when do you most often hear fat talk? Where do I NOT hear it? The gym, at the meal table, at church, at schools, at parent meetings, on TV… Holidays, weddings, reunions, parties in general, when the weather warms up and we approach bathing suit season (which is mostly year round here in San Diego). How do you respond to fat talk? Gosh, it depends on the day and the circumstances — sometimes I am full of grace and tact and other days I can trend on the blunt side. Most of my friends know exactly how I feel about fat talk so when they bring it up, they usually are trying to rile me up or tease me. But when it is with people I do not have a previous relationship with, I try my best to redirect the conversation or just not participate. What do you think are the roots of fat talk? Where have you been surprised to encounter fat talk? I think I have been the most bummed to hear it in faith communities that I run in. It really hurts my heart to hear people fat talk and mask it in the name of faith, holiness, or humility. How have you struggled with fat talk in your life? Oh my goodness, yes! When I was in high school and through my twenties was when it was the worst. My unhealthy drive for perfection really jammed up my ability to see my true worth and value for a while. But I am grateful for the gift of growing, healing, and falling in love with my amazing husband and two children which gave me a powerful perspective on what being enough really means. What self-talk helps ground you in your true worth and value today? 5) not spending enough meaningful time with God. How have you seen the connection between disordered eating and fat talk? Fat talk fans the flame of dieting and disordered eating. Once we lose site of our true worth and value and start buying into the lies of shame, fear, and the fat-phobic culture, obsessions about our looks, how we feed and move our body can become all-consuming. How has being a mother changed your view of fat talk, if at all? I am 100% committed to trying my best to have my words and actions match up. (NOTE: TRY) I am very fierce about not allowing any negative or obsessive talk about food, our bodies, or the looks and bodies of others. We also steer clear of praise, especially about looks, and instead reflect back to our kids how proud they must feel, how capable they must feel, etc. I talk about beauty in terms of character in addition to what is pleasing to the eye. When my daughter shares with her brother or when when she extends grace, I note how her choices just made her heart even more beautiful. We also avoid commercials (which is so tricky when my husband is watching a game) and most TV shows. They are going to be exposed to so much more in culture as they get older but I am committed to making our home a safe zone from the toxic aspects of culture. What are your thoughts on the current trend of sharing “fitspiration” images? Do these encourage a healthy body image or foster more fat talk? “Fitspiration” is a wolf in sheep’s clothing and triggers fat talk big time. It can be like cocaine to the brain and can deplete your self-worth when you come down from the high. These images are most often photoshopped and they only fuel comparing, dissatisfaction, and feeling not enough. Yuck. How do you help your clients combat fat talk? I walk with them as they seek to heal their relationship with food, their body, and their story. I have found EMDR (eye movement desensitization reprocessing) to be so helpful when people are stuck with negative core beliefs, ie: I am broken, I am permanently damaged, I am not _______ enough, I am a failure and so on. I work with Megan Holt, Potentia’s Coordinator of Wellness and Nutrition, to help support them in moving and feeding their bodies so their brain can get on their team and help push back on the lies and the noise of fat talk. Lastly, we work a lot on what it is like to respect your body, even if you do not like it. This involves working on negative self-talk but also re-evaluating core relationships and boundaries. Have you seen changes in your clients as they work to resist such negative self talk? Yes! As they heal and draw on their amazing courage, it is truly incredible to witness their spark, hope, and healing as they push back on how culture defines health and redefine that definition to a creed that serves their true health in a sustaining and life-giving way. How does your faith play a role in combating fat talk? It has taken me years to finally really believe the truth about what God says about me. The kind of love, grace, forgiveness, and guidance He offers me blows my mind. I think finally trusting His words, His Truth has been medicine for my soul. Spending the last few years building my shame resilience skills and training to help others do that work has had a profound effect on shifting my core beliefs about myself on an even deeper level. I now know feeling bad, gross, like a failure, not enough is what I feel though not the truth. Now I can push back on those feelings and lean on God’s Truth, regardless of my emotional state. Some days are easier than others but whew, the freedom I feel from building my shame resilience super powers has been life-changing in my relationship with God. What role do you see the church playing in combating fat talk? I think the church could really play a significant role in combating fat talk. If the pulpit stopped being a place for fat talk, body shame, or buying into trendy diets in the name of holiness, that would be a good start. My dream is for pastors and their leadership teams to stop church-wide dieting and talking about numbers; to get educated on the disordered eating spectrum; to learn how to lead their congregation in a fast with sensitivity and awareness and be a safe place for those struggling with food and body issues. I have found some incredible leaders in the faith community leading courageously and boldly in these areas, but we still have a long way to go. One step at a time. One heart at a time. Thanks so much for following along here on the blog and on Potentia’s Facebook page as we supported Fat Talk Free Week 2013. Thoughts? Any new insights or convictions? We would love to hear from you in the comments below. Stay connected and join our email list for blog updates and thoughts on how you can (re) define your definition of health.